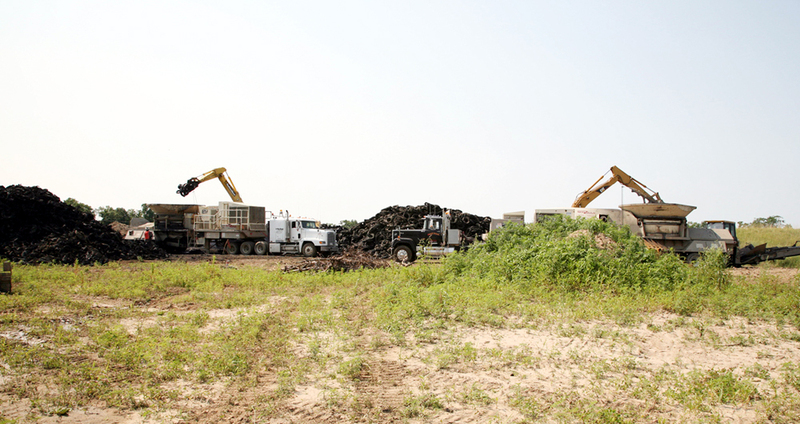 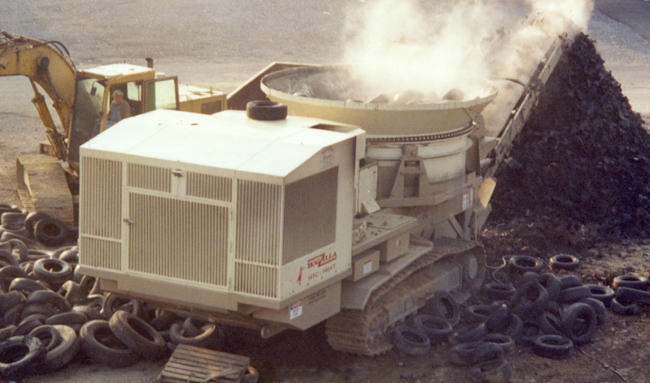 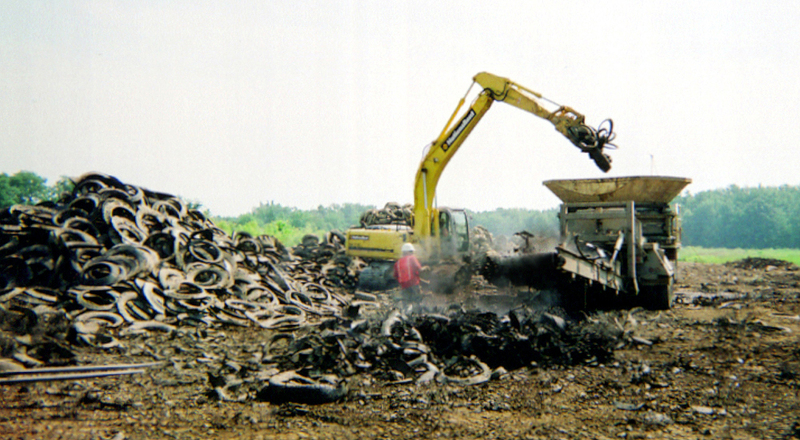 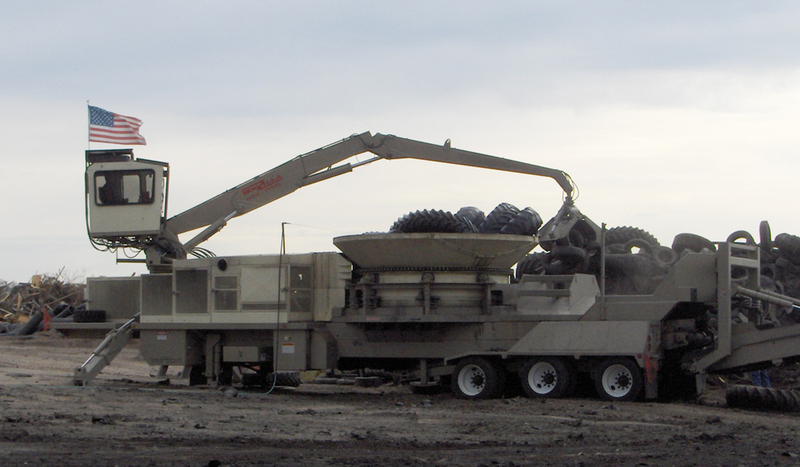 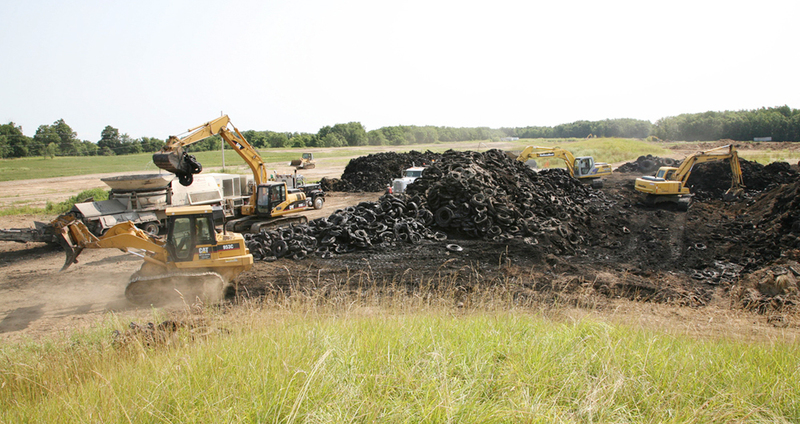 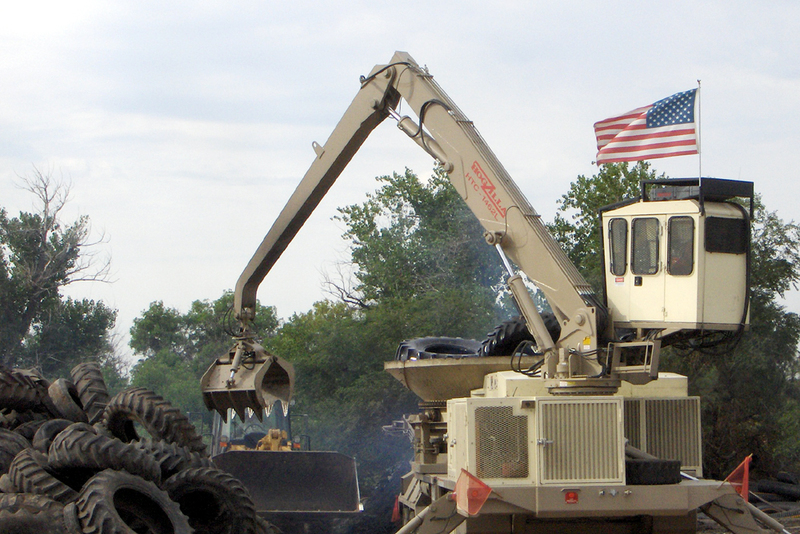 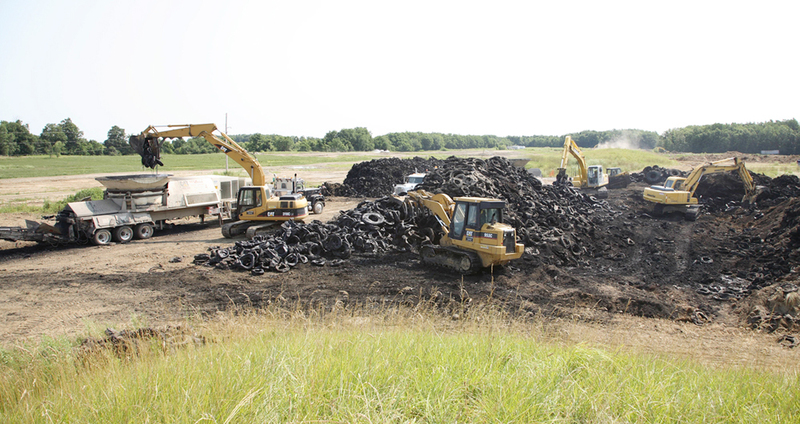 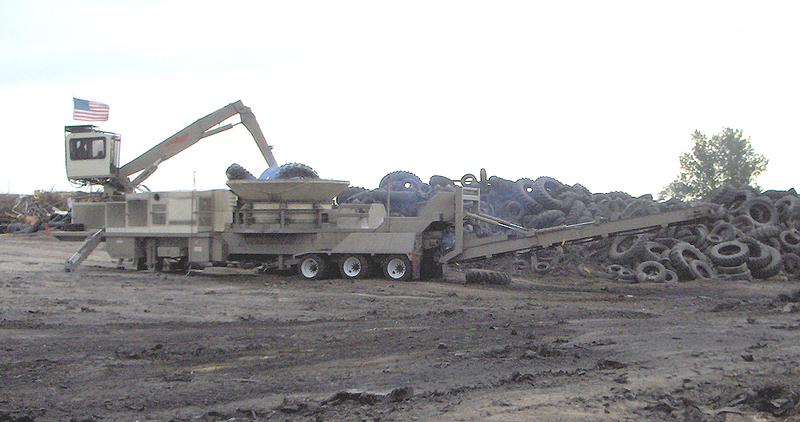 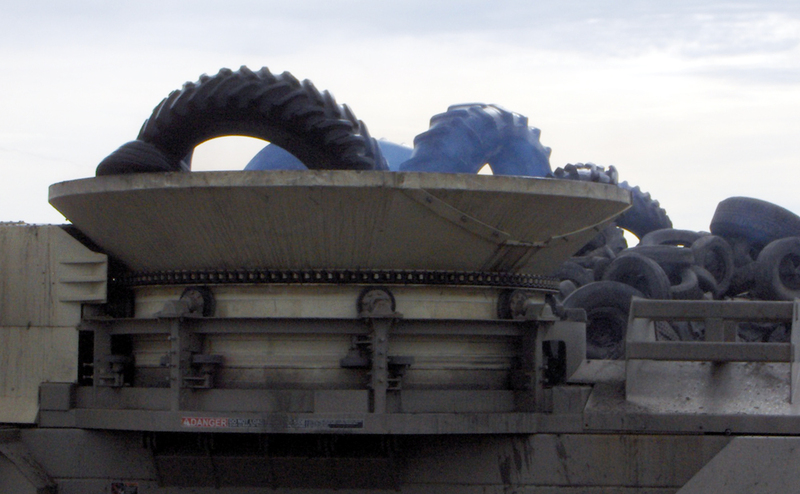 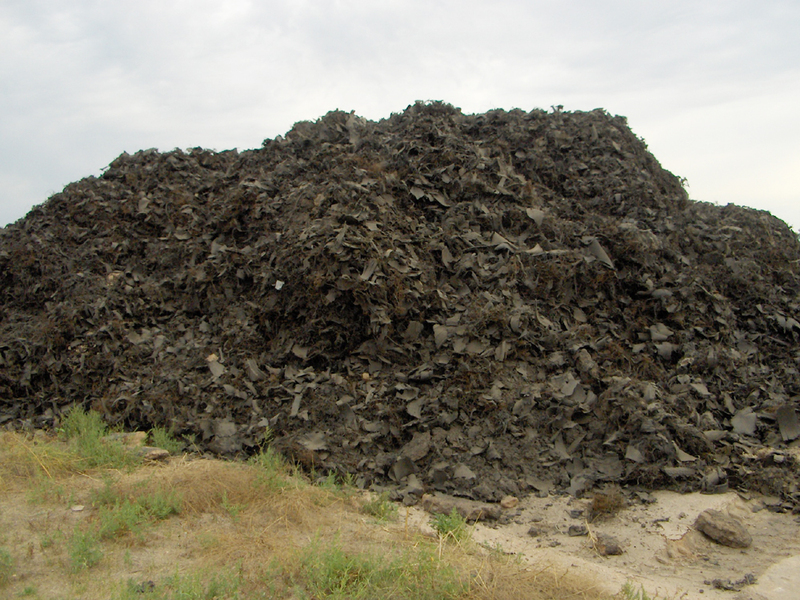 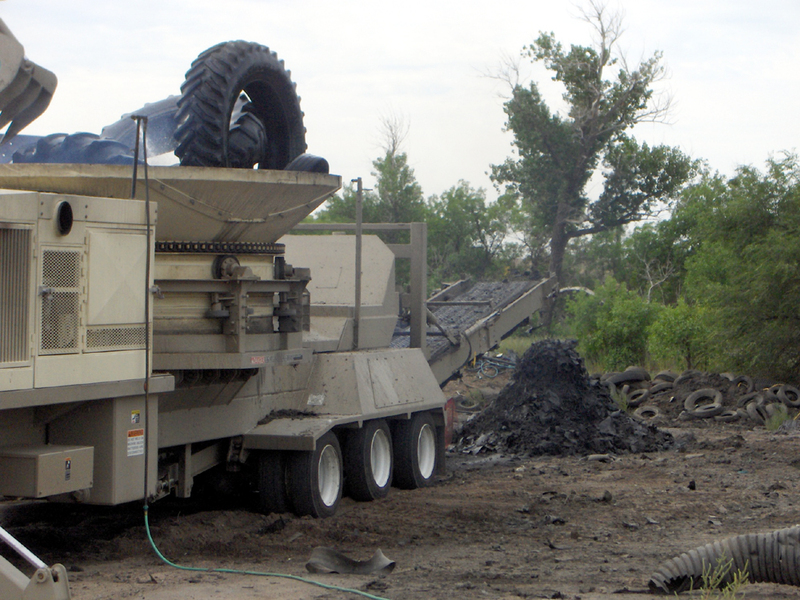 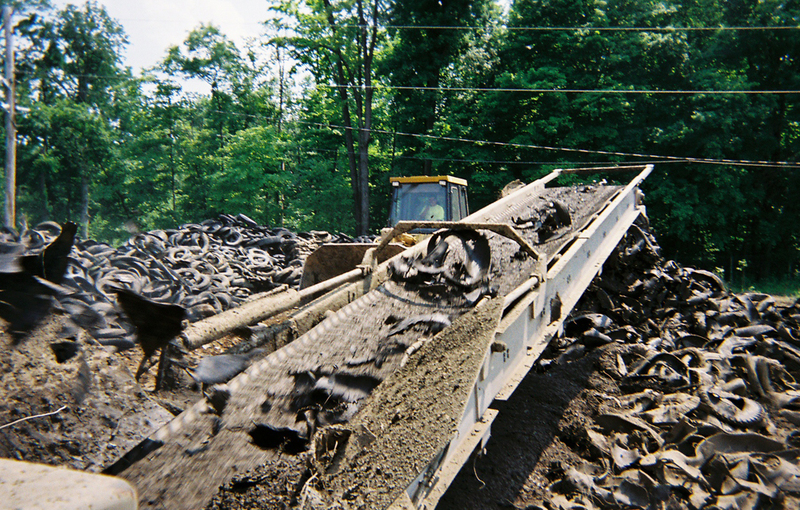 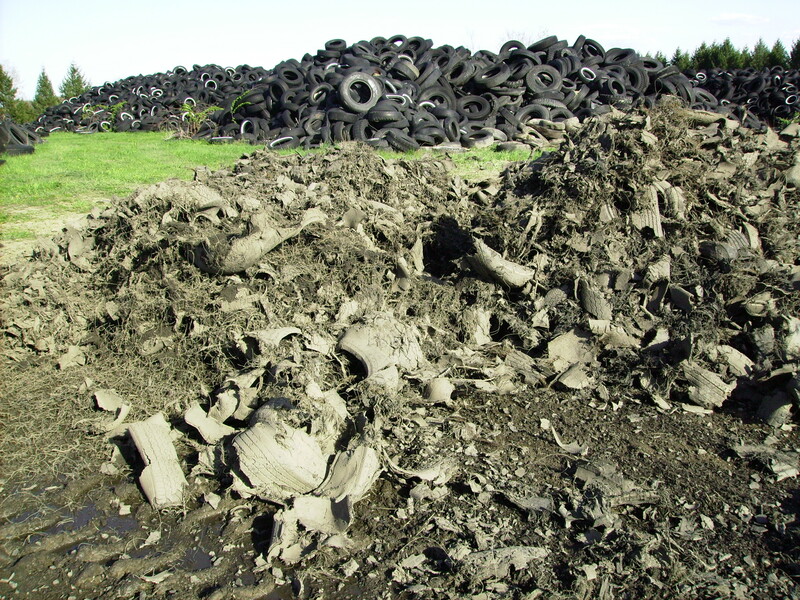 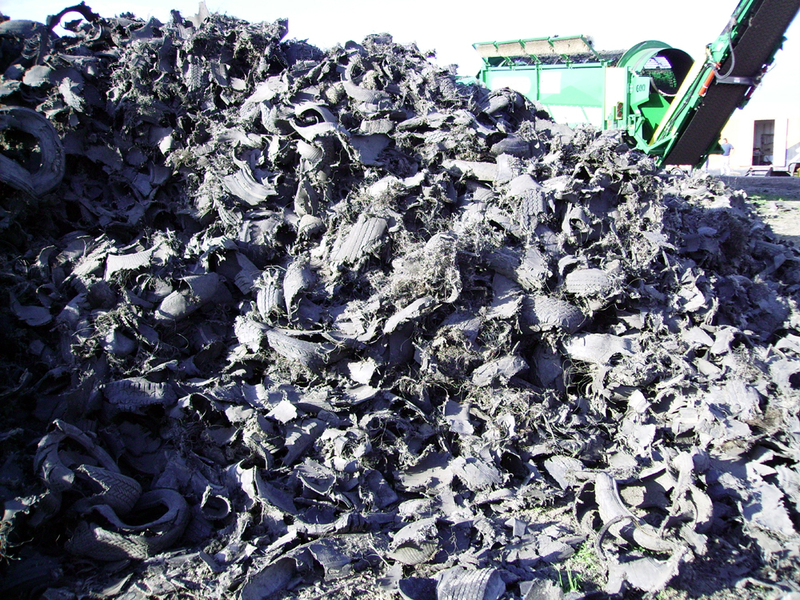 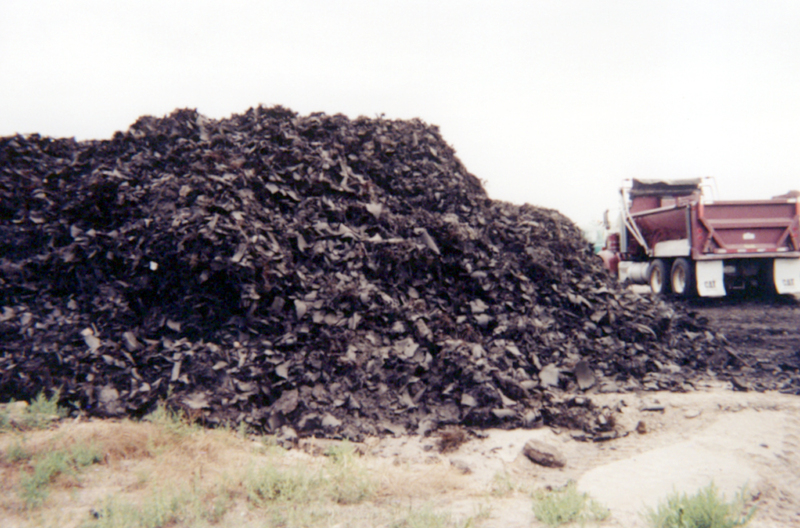 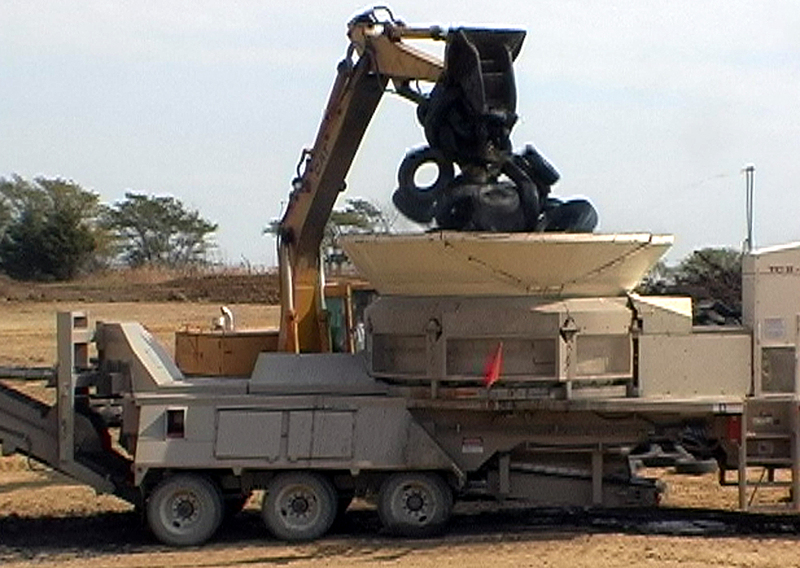 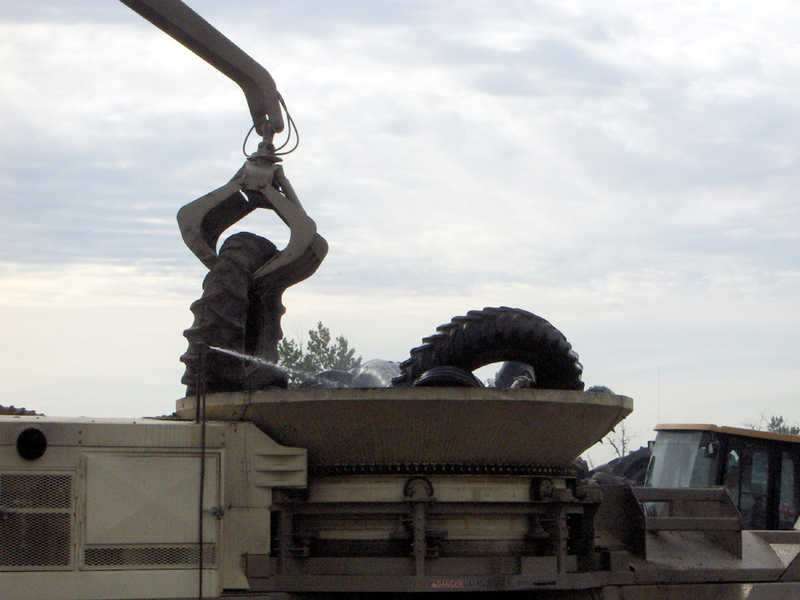 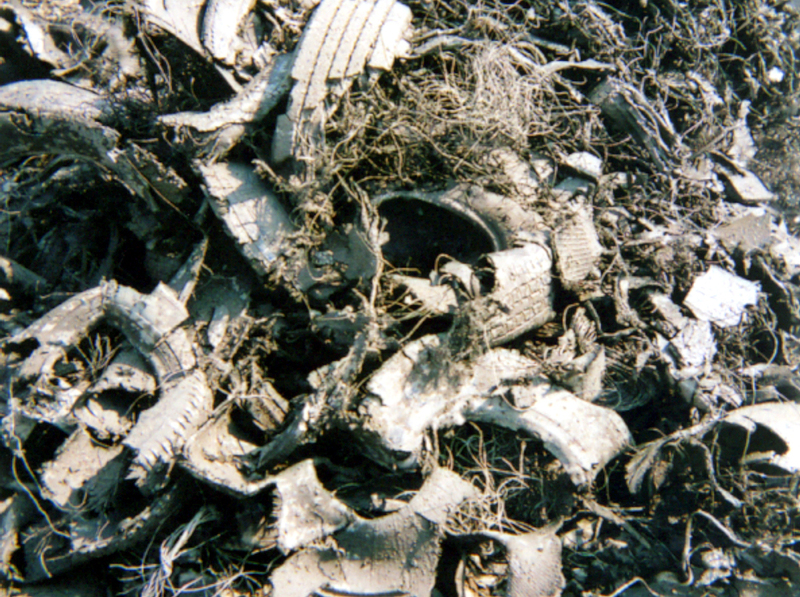 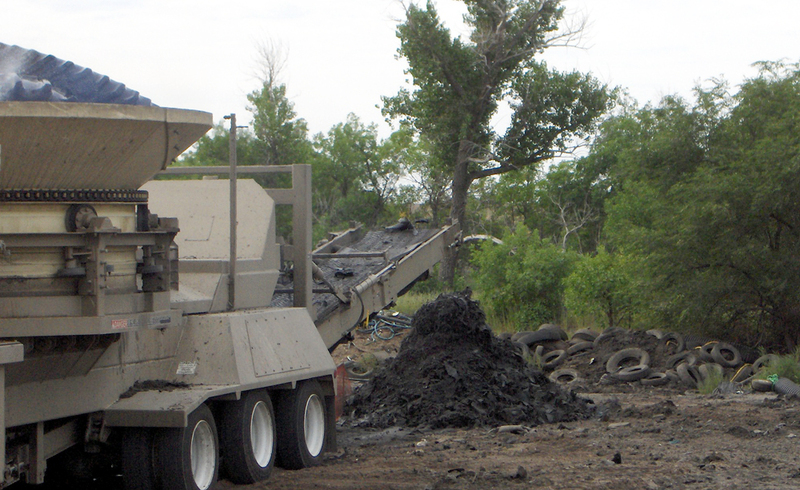 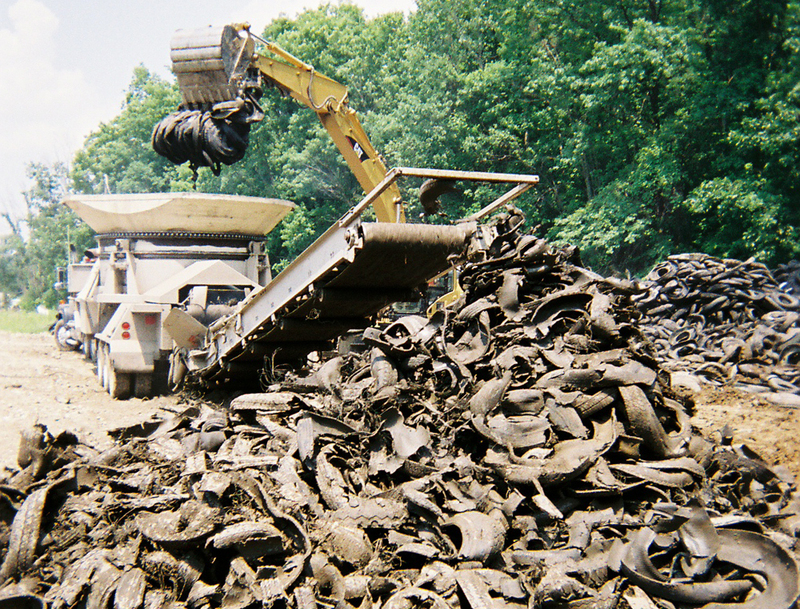 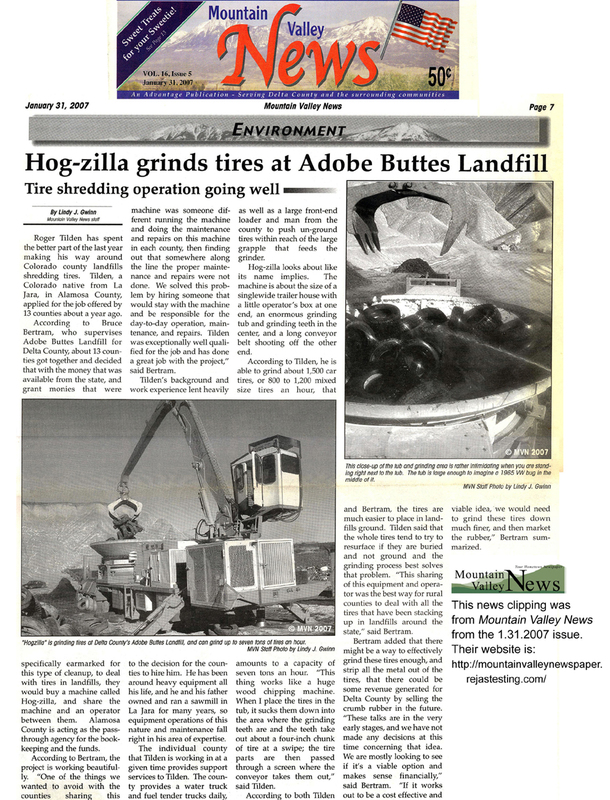 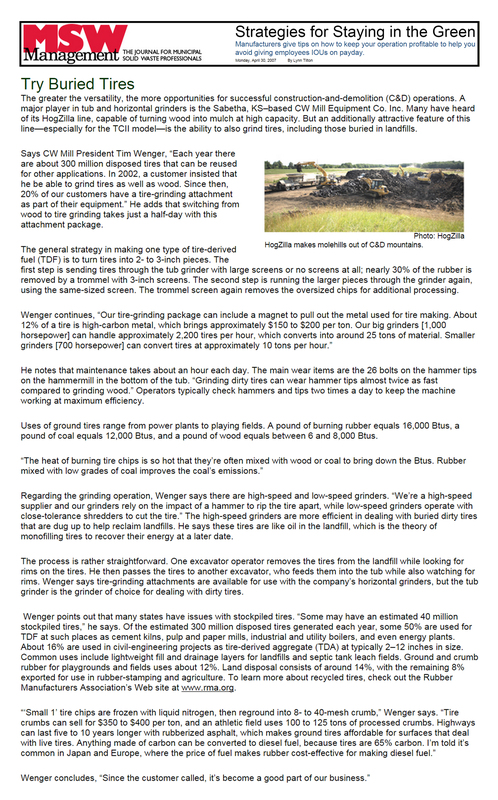 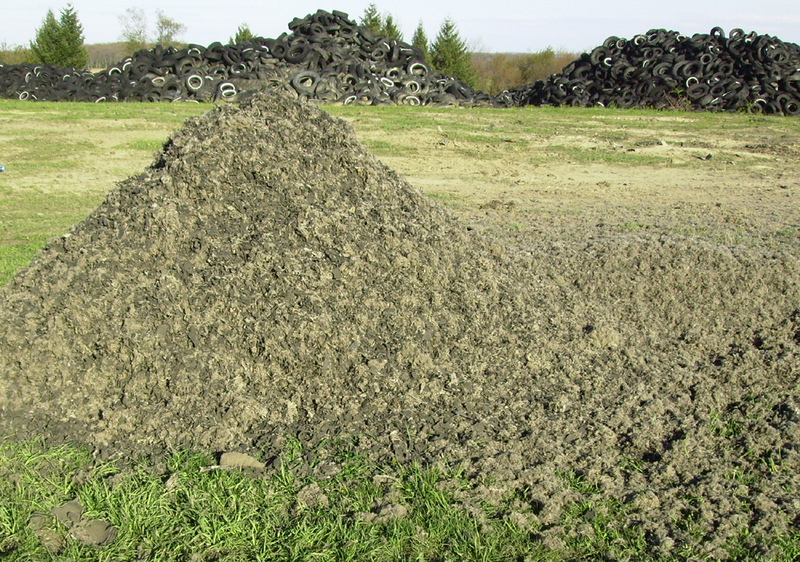 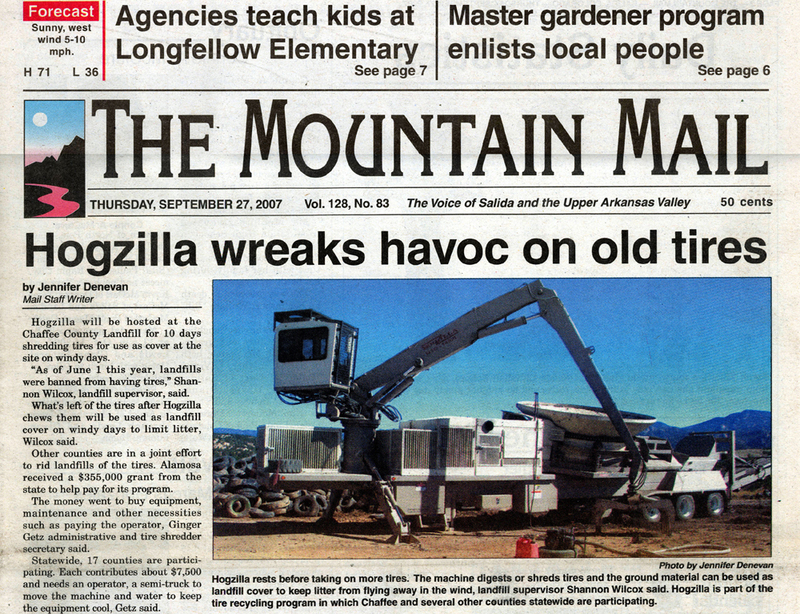 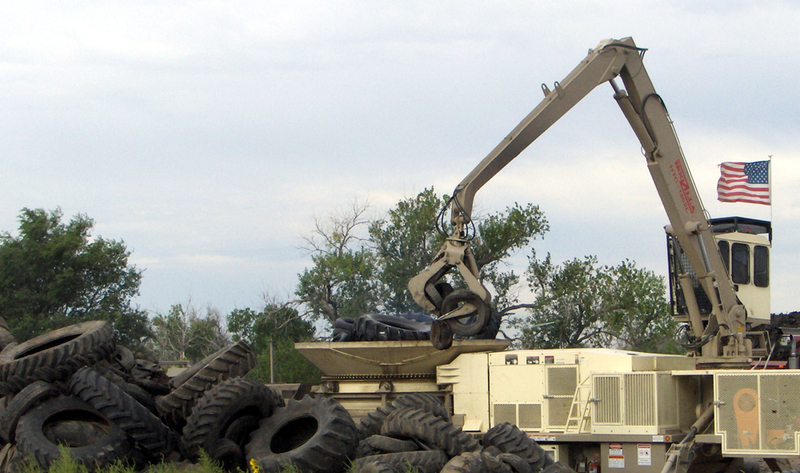 Click below for additional HogZilla Tire Processing information. 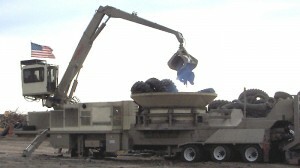 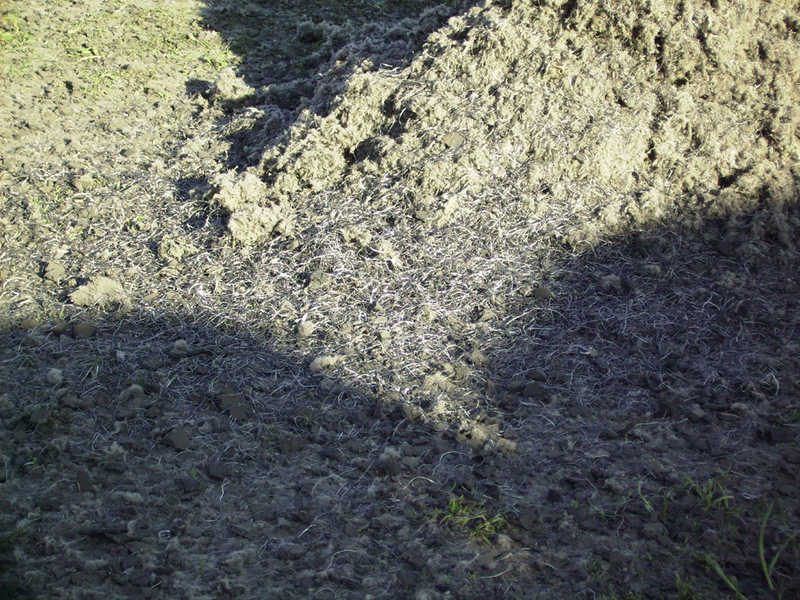 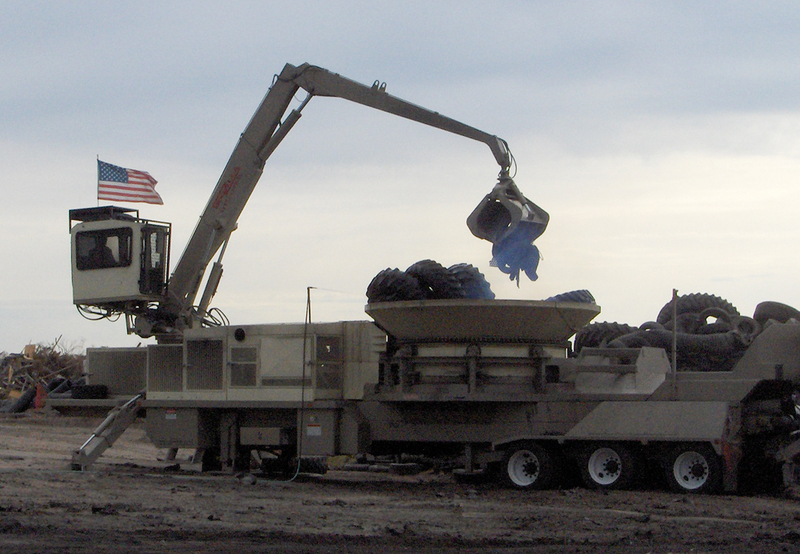 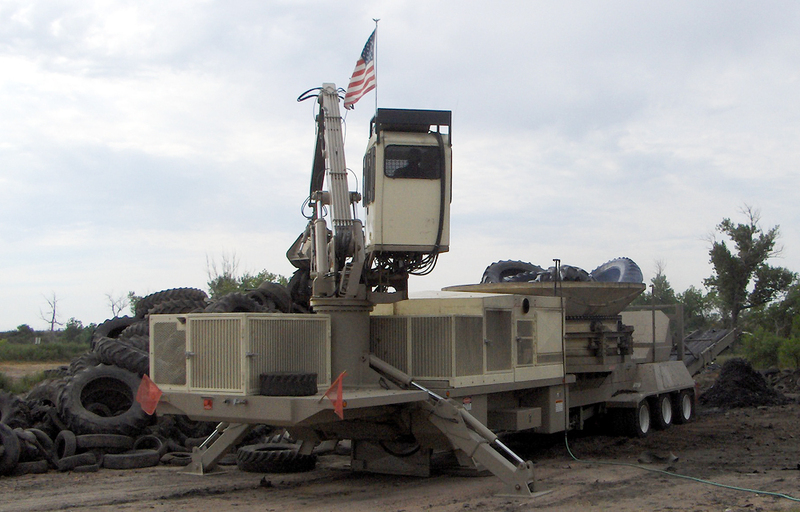 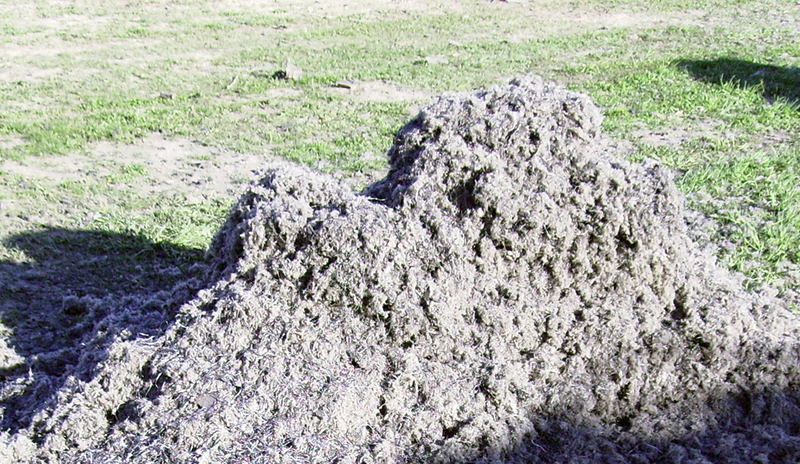 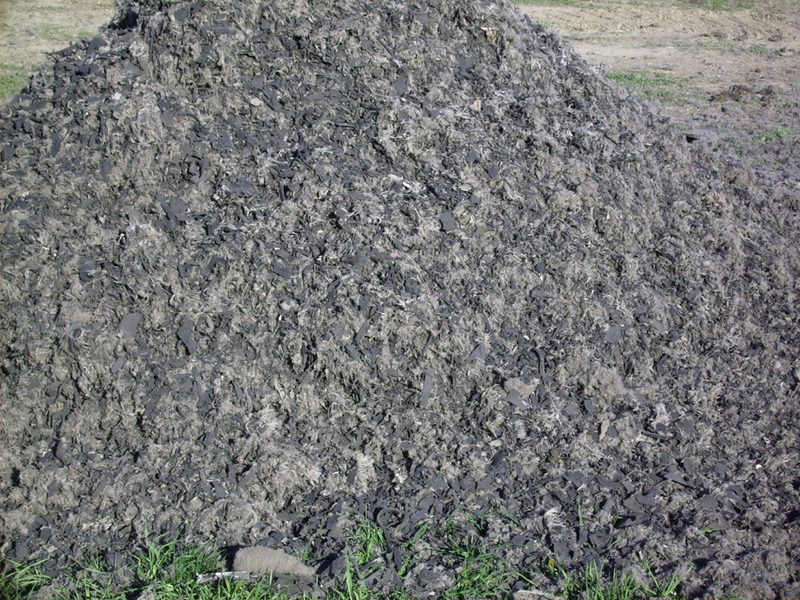 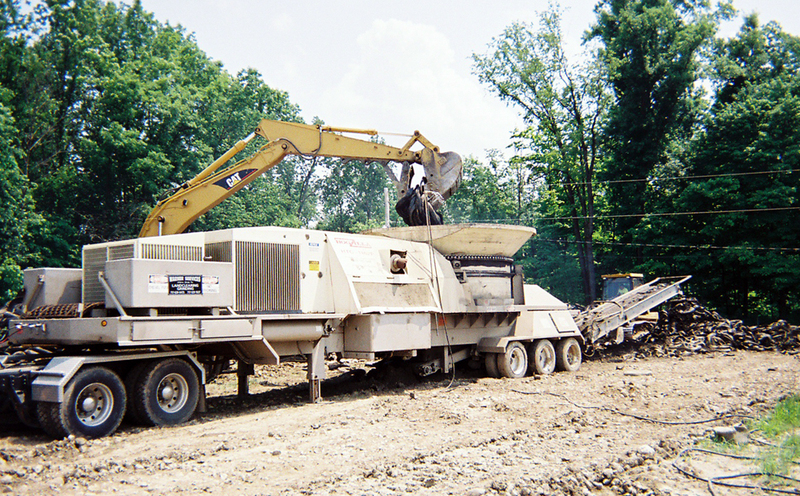 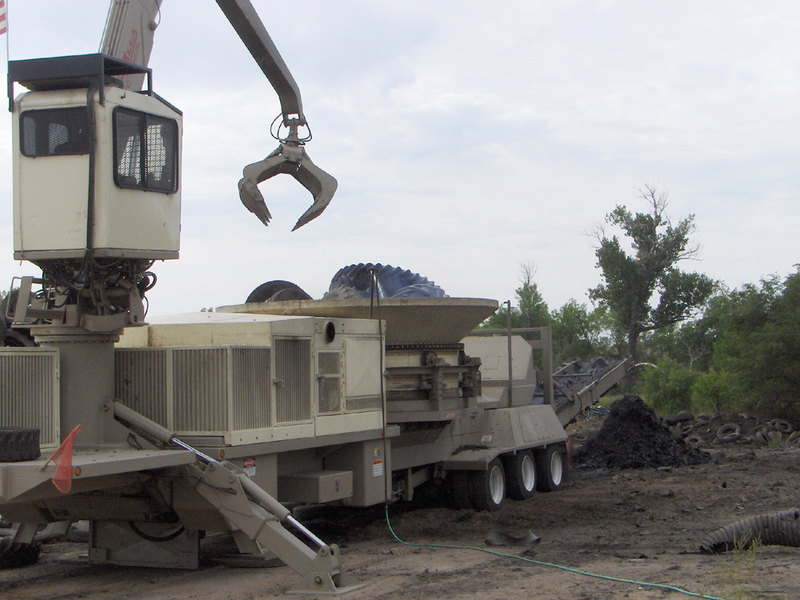 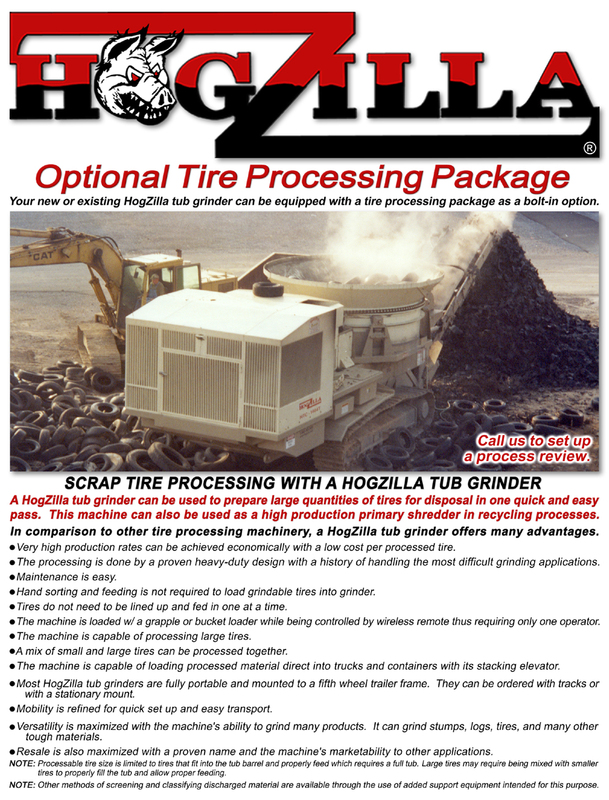 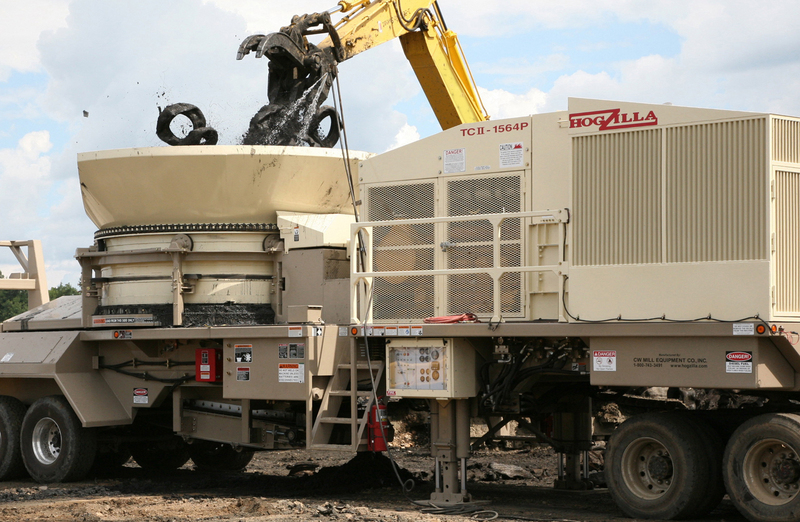 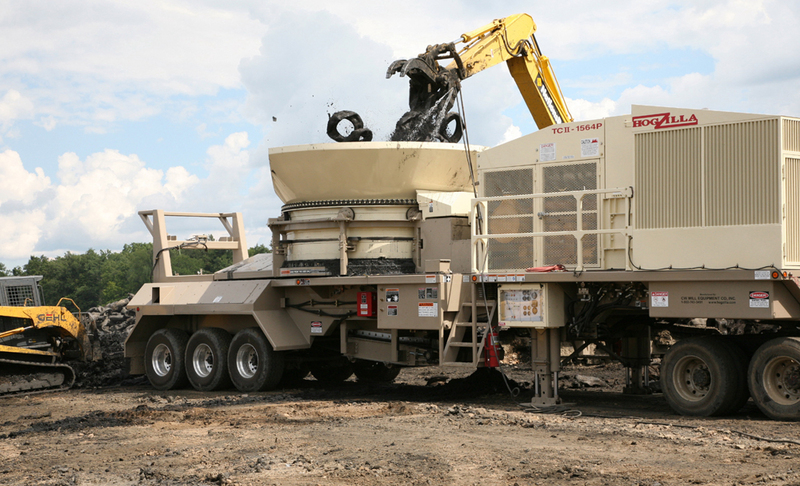 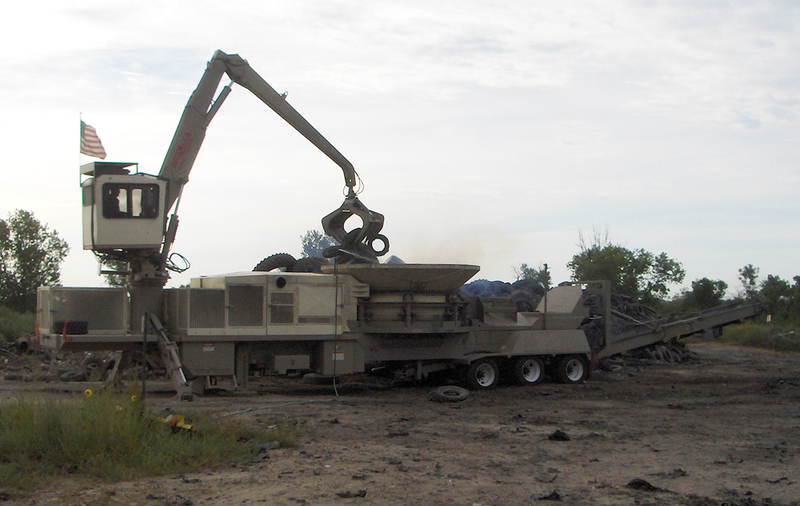 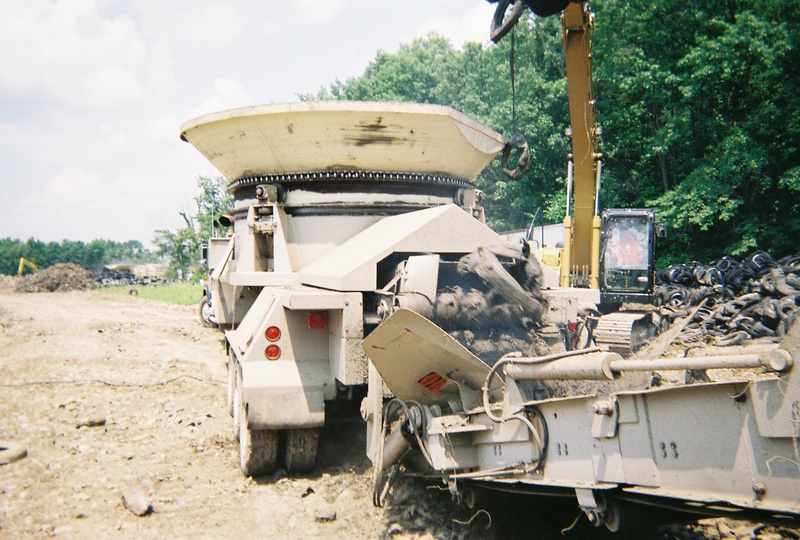 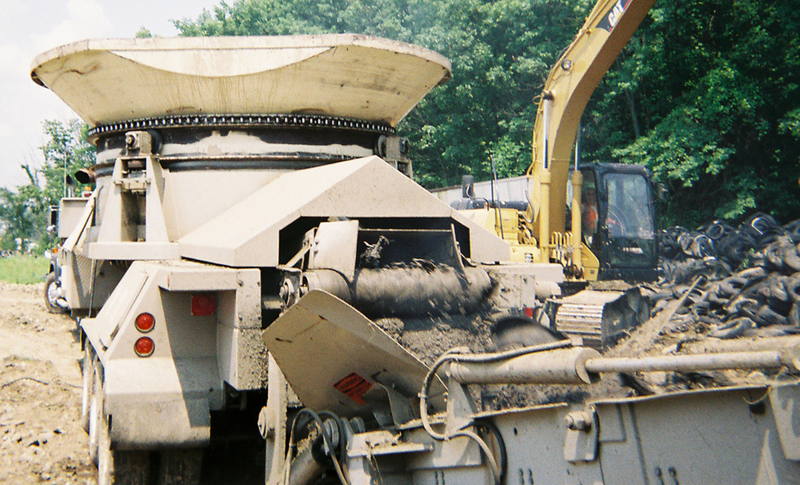 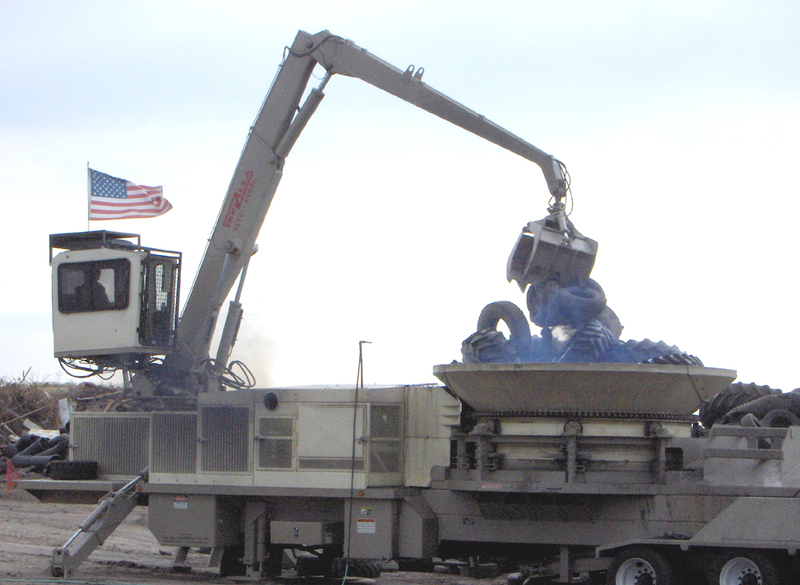 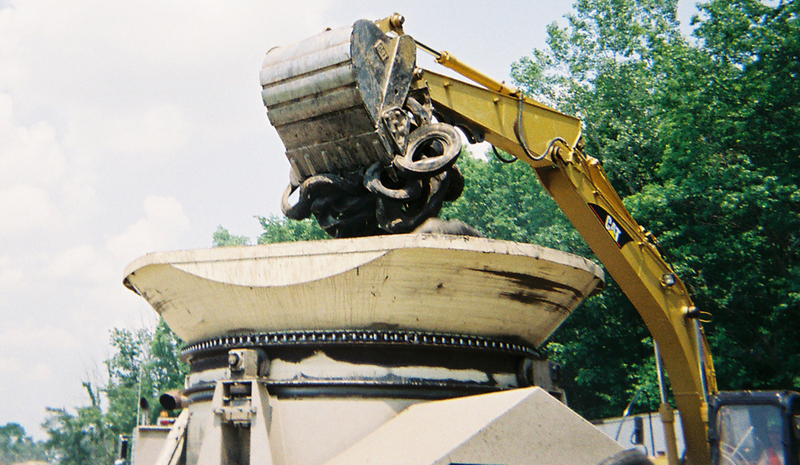 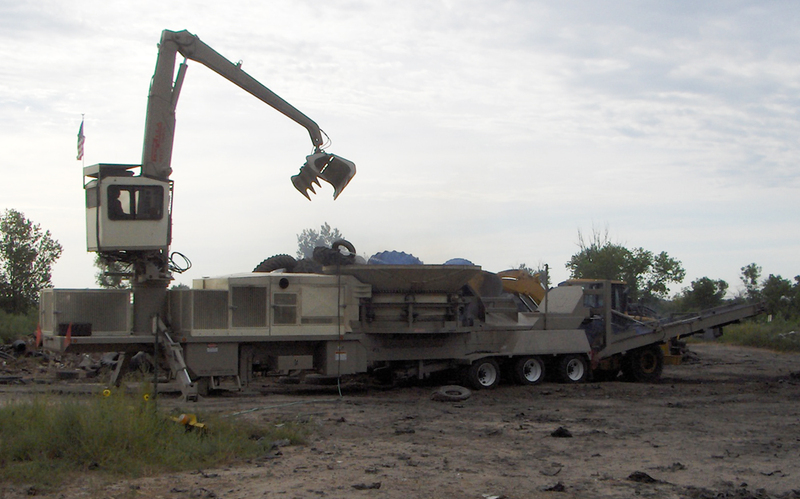 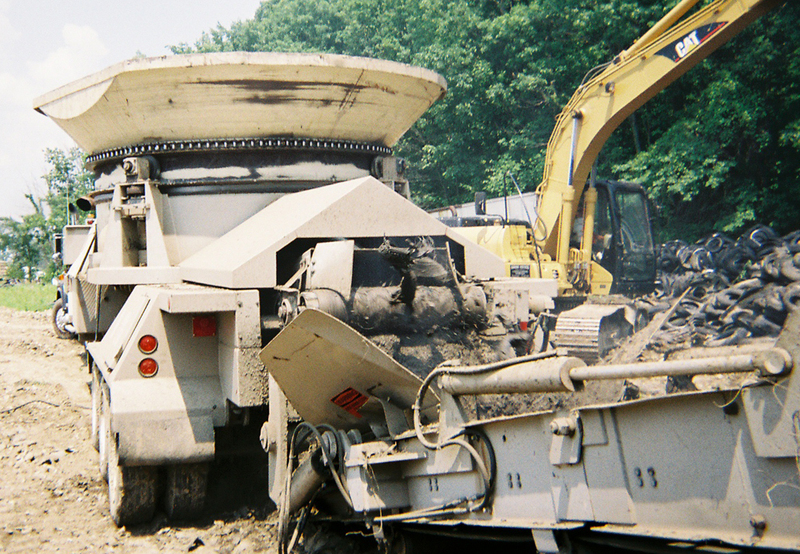 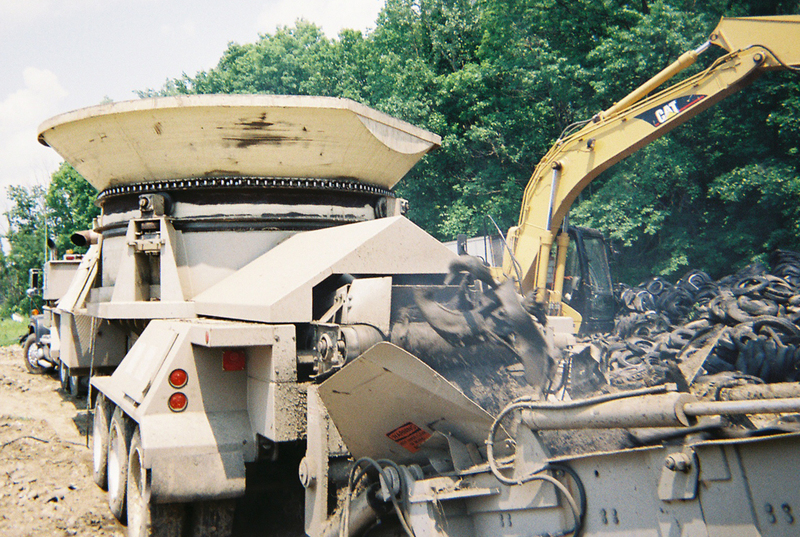 Your new or existing HogZilla tub grinder can be equipped with a tire-processing package as a bolt-in option. 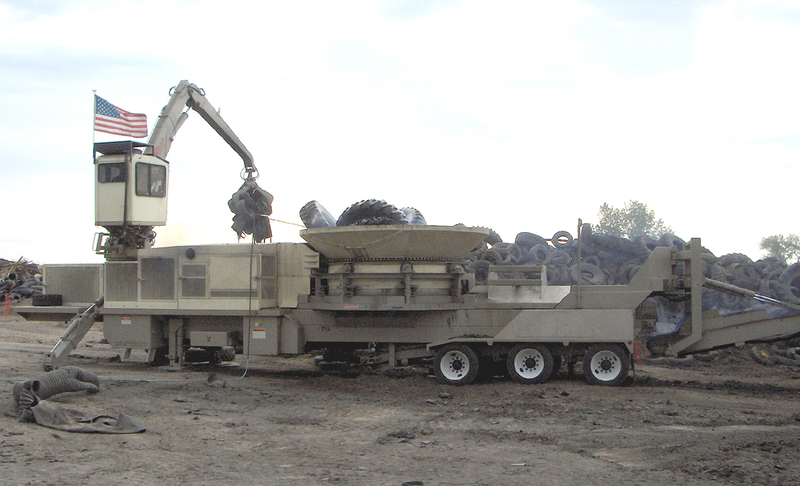 Not only will it do a great job of processing your necessary wood or tire applications, it will allow flexibility to switch when needed. 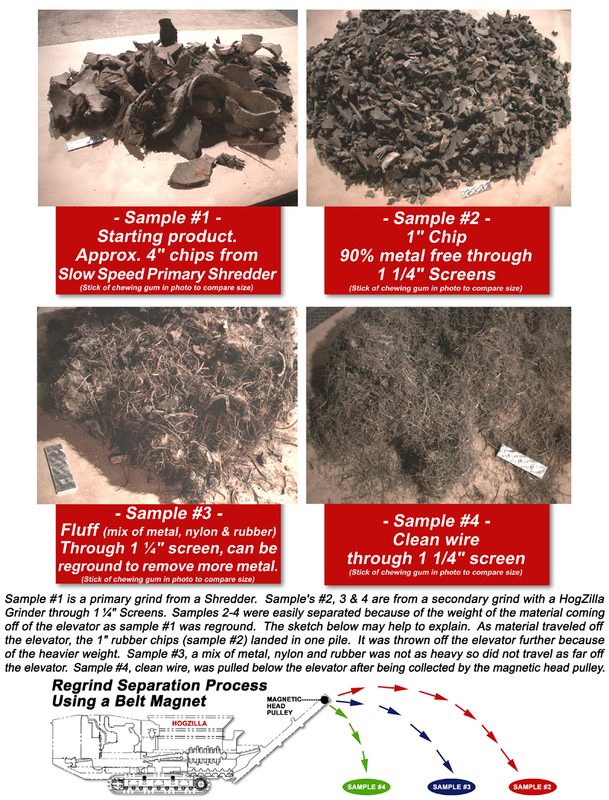 Methods of smaller material sizing and metal separation are available to further refine the material. 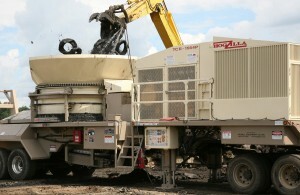 Depending upon exact product specifications, additional equipment may be required. 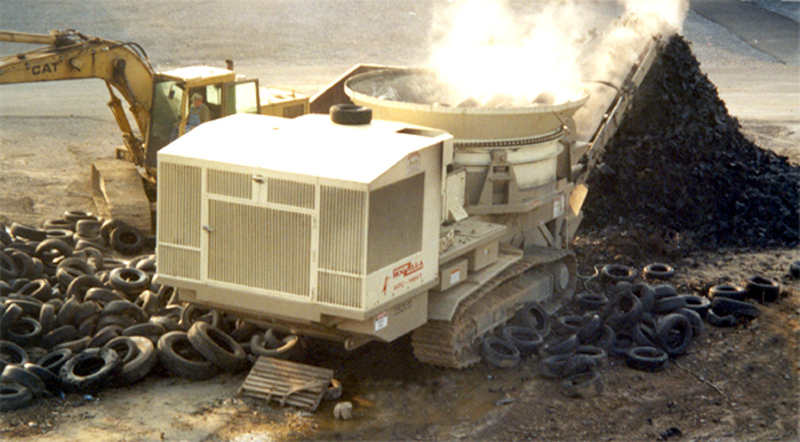 Contact the factory for a process review. 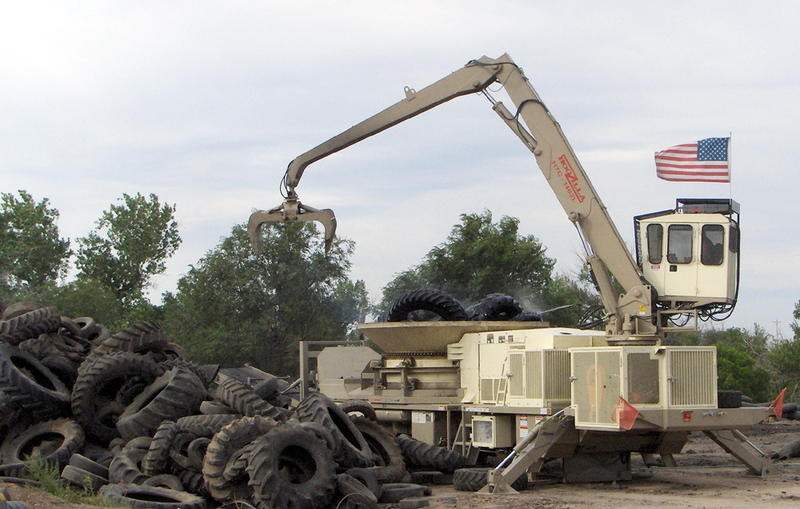 Production rates and ground product characteristics vary based on specific machine configurations and the type of tires being processed. 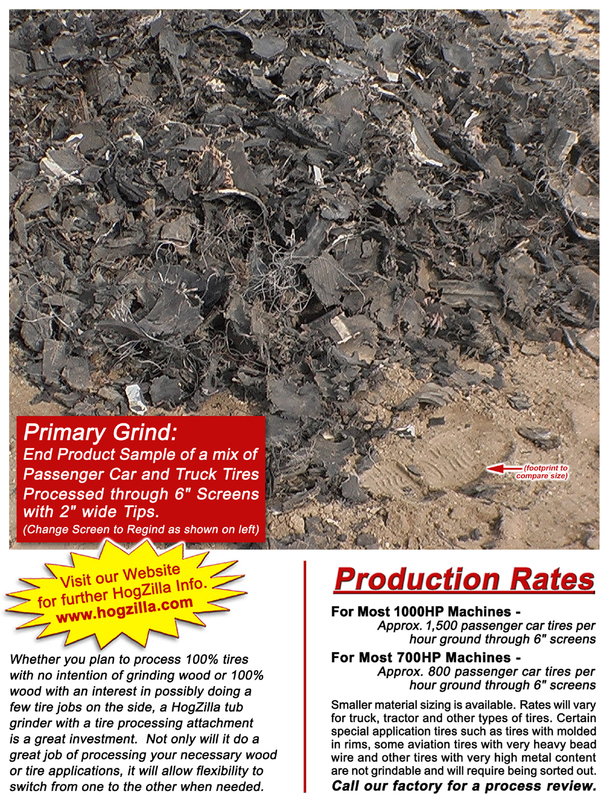 For a longer clip of Tire Processing with a HogZilla Grinder see below. 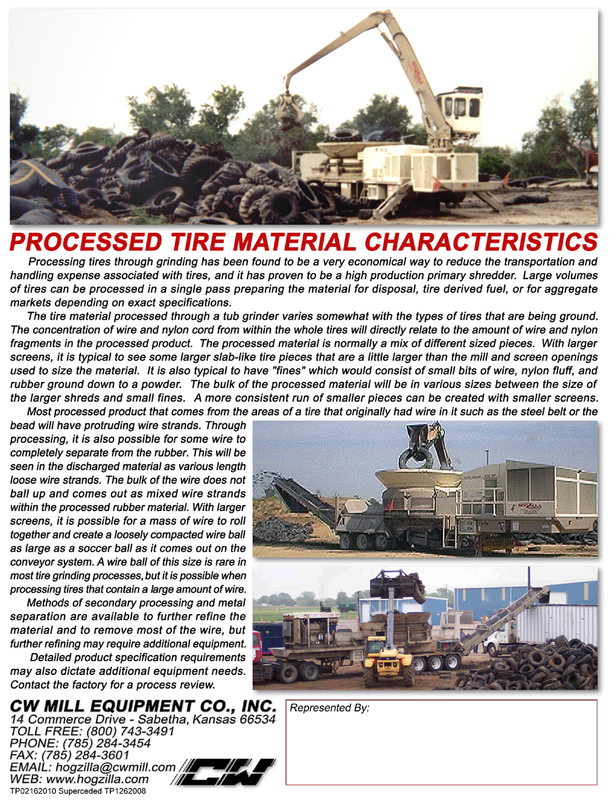 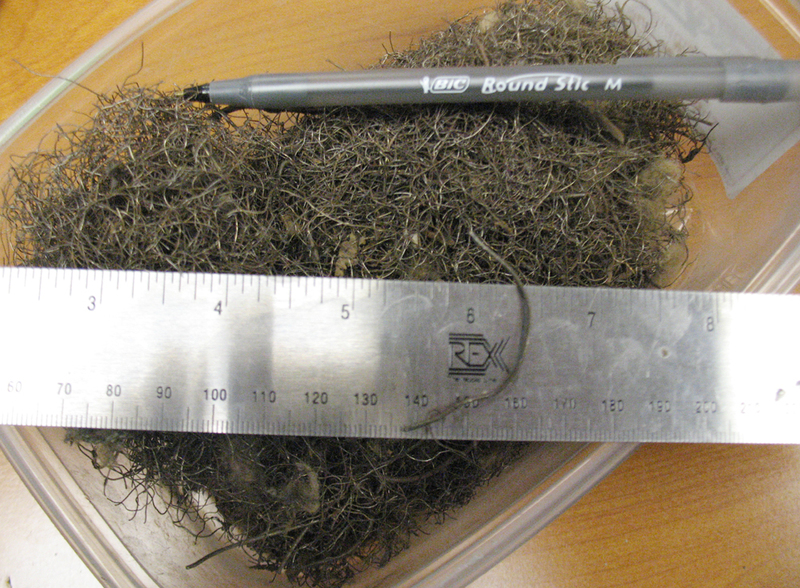 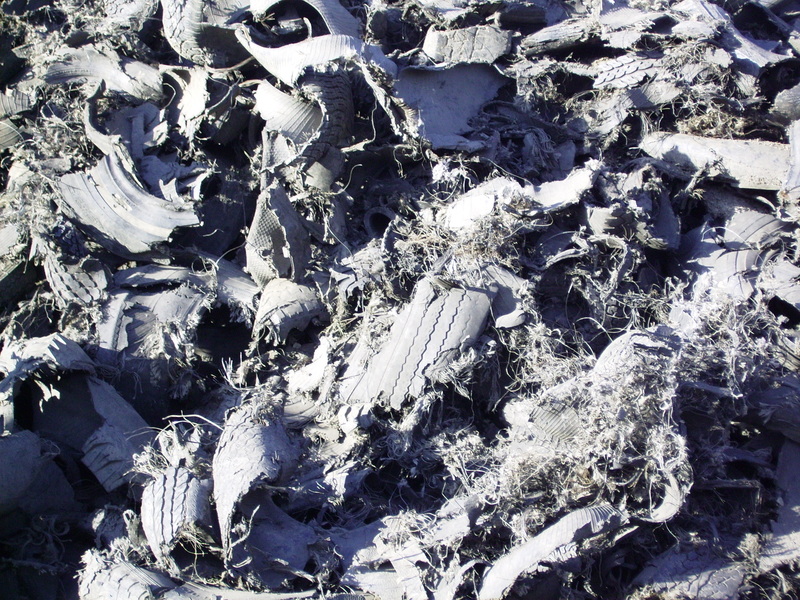 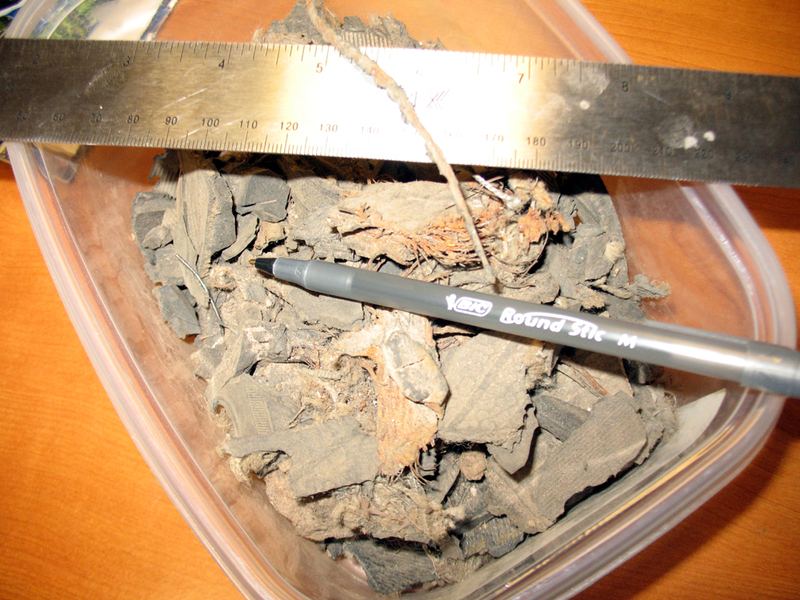 tire material characteristics. 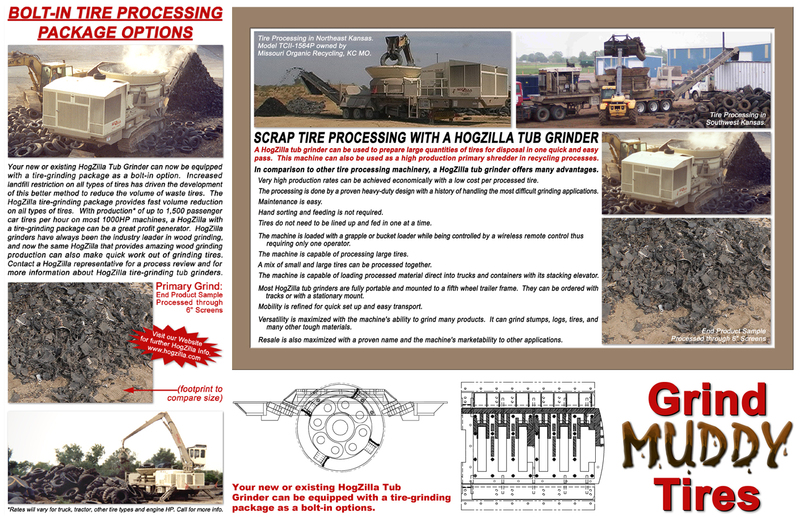 Give us a call for more information.